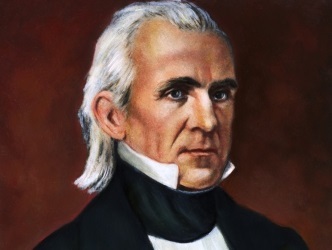 James K. Polk:- James K. Polk (November 2, 1795 – June 15, 1849) was the 11th president of the United States (1845–1849). He previously was speaker of the House of Representatives (1835–1839) and governor of Tennessee (1839–1841). A protégé of Andrew Jackson, he was a member of the Democratic Party and an advocate of Jacksonian democracy. During Polk’s presidency, the United States expanded significantly with the annexation of the Republic of Texas, the Oregon Territory, and the Mexican Cession following the American victory in the Mexican–American War. Polk is considered by many the most effective president of the pre–Civil War era, having met during his four-year term every major domestic and foreign policy goal he had set. After a negotiation fraught with risk of war, he reached a settlement with the United Kingdom over the disputed Oregon Country, the territory for the most part being divided along the 49th parallel.